Dancing in Notre Dame. Promo for my new fan fiction Beauty. HD Wallpaper and background images in the disney crossover club tagged: disney crossover belle. This disney crossover photo might contain teken, poster, tekst, bord, schoolbord, mantille, and mantilla. Maybe you should put it in the middle. 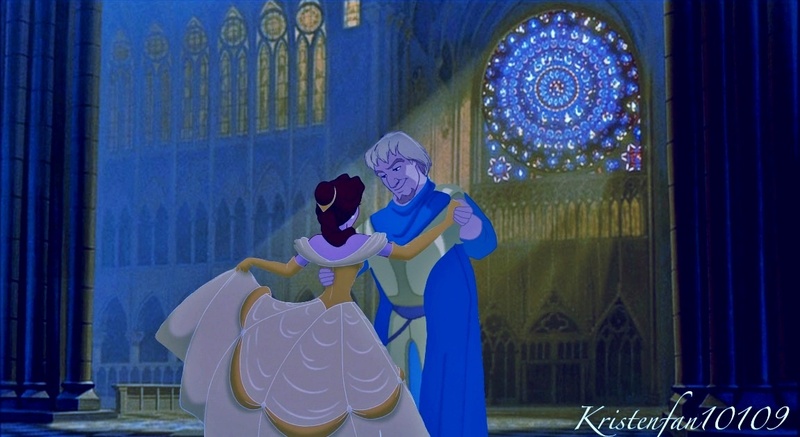 It could be a scene that'll show Phoebus and Belle falling for each other. Almost like the dancing scene from Beauty and the Beast.